'Hi, Kate, Thank you SO MUCH for the wonderful weekend last weekend in Plas Cadnant. You are an amazing teacher, and I love your energy. I have gained so much from that short space of timeless time, and I know that you have kicked something off for me, which is both life-long, and life-giving. Thank you for the great Yoga Workshop on Saturday, Kate; a lovely mix of yoga and meditation followed by those beautiful Tibetan gongs. And I really enjoy your weekly classes very much - your very clear and careful instruction and demonstration of moves and poses together with clear explanations of the benefits of each one - and all with such a sense of joy! Since joining the class at the beginning of the year, I've found it hugely beneficial on all levels. Many Thanks! Sheila. Began yoga classes with Kate some months ago at the age of 72 so don't let age put you off. Have recently had a nasty fall resulting in a shoulder injury - went to class again after only a week or so. I was confident Kate would guide me through the session suggesting alternative movements when necessary. Looking forward to being fully fit again and joining some of the Saturday workshops along with my weekly class. I really enjoy Kate's style of yoga. (Dru) I also love her patience, and humour and her ability to gently encourage and motivate her classes. A wonderful experience that I feel blessed to be able to experience. Kate's Yoga Classes are amazing and have a wonderfully positive impact on my body and mind. She balances relaxation, posture work and body conditioning perfectly and all to beautiful music. The environment is perfect and Kate has an easy, natural, inclusive style that creates a feeling of calmness, strength and joy within me - a truly inspirational teacher. I feel safely guided through stretching poses that you would feel were beyond your body and joint possibilities. The graduated sequences of warming up and stretching and twisting engages parts of your body that you struggle to envisage you would be able to control. Uplifting class that is structured carefully and lead by a motivated teacher who constantly reinforces positive thoughts and energy throughout each session. The relaxation is delivered in sensitive rhythmic dulcet tones - leading me close to sleep - but later rejuvenated and able to sleep that night peacefully and comfortably. The session is a great fix - I lust for more! I know Kate through my involvement and my Dru Teacher Training course at Bethesda. Her commitment, expertise and desire to develop her Yoga and Meditation practise is second to none, as is her desire to share this with others so that they too can find their place of inner peace and happiness. Kate's website and mail-shots nourish you from afar and make you want to return to her classes time after time. I cannot recommend Kate's classes enough. Don't think about it, just come! No-one is looking at you (except Kate), you just connect with yourself and the universe. Physical aches and pains float away, emotional stresses diminish and are put in perspective, and spiritually (if you want to) you feel more open amd connected. Kate has classes to suit everyone. It doesn't matter what age, shape or size you are. Dru is adaptable to suit everyone and Kate will look after you, very well, on a 1-1 basis. I always leave the class feeling relaxed and calm which sets me up for the week. Thank you Kate, your classes make a big difference to me. Doing yoga with Kate has really improved my posture and flexibility - I love touching my toes! Such a lovely escape from the hustle and bustle of life! My lower back feels stronger too- result! Kate is such a calming prescence. Thank you for being such an amazing teacher and inspiring me to teach! I love Kate's classes; she inspires me to practise more. She is so approachable and inclusive; each class is different, in repsonse to the ability of the group. She also explains the benefits of the movements and each lesson is an education. I would highly recommend her classes. Kate's classes are a fantastic experience - lovely, relaxing and toning sequences. Sessions are run in a friendly atmosphere. Kate is an excellent teacher. The calm voice and different space that Kate creates within 10 minutes of arrival is wonderful. You are transcended into another world, away from the 'rush' of everyday life and it's issues. Kate's classes have been a wonderful experience. She has given me personal strategies and exercises to cope with the stresses of work and family. I love how the classes are truly accessible for all ability levels. Thanks Kate! I find that Dru is the most respectful form of yoga that I have practised. After a class I feel balanced in mind and body. I missed coming to Kate's class very much when I was away, thoroughly enjoyed being back and I'm looking forward to becoming more flexible the more lessons I attend to improve the poses. Highly recommend attending a Dru Yoga Class with Kate as it helps with flexibility, mindfulness and breathing. Classes are very informal and I feel comfortable with Kate and other class members. A lovely way to relax and wind down on a Friday. Gets me ready for the weekend with a positive attitude and relaxed body and mind. Thanks Kate! I leave Kate's class feeling relaxed and totally at peace. Her personal and informal approach to teaching in the class is inspiring. Thanks! Just a quick Thank You. Just when I thought it couldn't get any better! Loved the class in your beautiful home and wonderful hospitality - thank you so much. Thank you so much Kate, you have made such a huge difference to my well-being in such a short space of time. I absolutely love your yoga classes you teach and so look forward to each week. Yoga should seriously be promoted for ladies who have just had babies as I know I would have joined a lot sooner had I known what I know now! Thank you for your fab lessons! I just wanted to let you know how good I've felt since Yoga...I even felt 'taller', strangely enough!! I'm all in!! My love for yoga began in January 2018. Prior to this, I had prevaricated for years over joining a class, however, never had the motivation to do anything about it. I also had no idea what to expect. I saw Kate’s details on a social media site and I plucked up the courage to contact her as I realised that this year was going to be the year I changed my life. I had already been through various emotional challenges and felt that I needed to concentrate, not only my body, but also my mind. This has to be one of the most positive decisions I have ever made. I have learned how to incorporate my new-found love for yoga and my beliefs into a healthy lifestyle. I have learned how to relax and how to better myself as a person. Unfortunately, just as I was beginning to grasp the poses and a routine, I fell ill. Classes became difficult and there were some sessions I could not attend due to exhaustion and physically not being able to carry out the poses. However, I continued to attend to get the benefit of Kate’s encouragement and support. In June I underwent major surgery. Recovery was quick. I meditated every day and I attended sessions where I could rest and meditate. Just being back at class and among other yogis assisted in my recovery. My surgeon remarked at the speed of my recovery and how quickly I returned to work (10 weeks post op) and even said that yoga should be offered to everyone on prescription! I can honestly say that yoga has helped me in all aspects of my life.  Kate’s yoga space is a beautiful, non-judgmental, safe and a comfortable environment to learn; thank you for providing such a loving, open and inspiring environment. My only regret is that I never started it sooner ! !